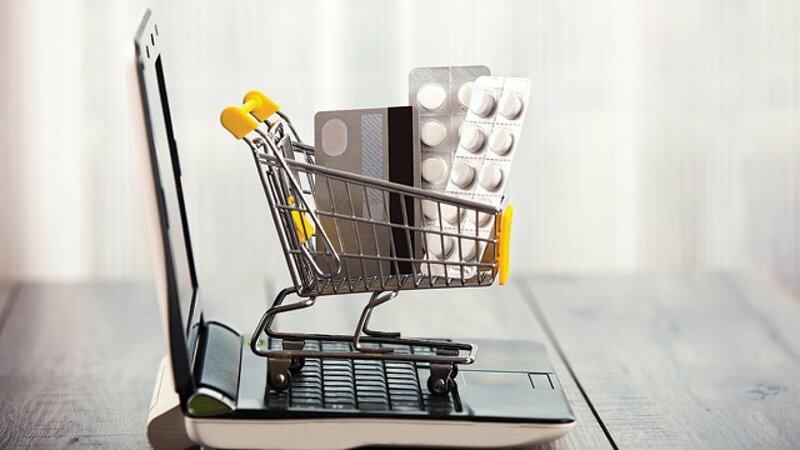 What will be the impact of the new regulatory framework on the growth of online pharmacies? A HE report. It is the era of hyper-funded e-pharmacies, spending money to promote their deep-discounted medicines. However, the recently released draft guidelines for the online pharmacy industry have raised several issues for startups operating in the space. So, what would it take to ensure that that high-quality drugs get transported across the country and delivered to patients without damage? While entrepreneurs had guesstimates, the gazette notification states that all e-pharmacies have to register with the Central Drugs Standard Control Organisation, the apex drug regulator and central licensing authority. Further, even the state governments have the power to cancel registrations. Online Pharmacies constitute only one per cent of the Retail Pharma Market. All surveys show that e-pharmacy is still a single-digit percentage of total retail anywhere, which means the best part of it is still ahead of consumers. "It's a good move to regulate online pharmacies. However, If you look at what's happening in the market, there are more issues related to even brick-and-mortar stores. There is poor compliance of regulations prescribed by the government. Most of the pharmacists associated with the stores are not available at the medical shops. They are prescribing medicines to poor patients who can't afford to go to a doctor. They even provide medicines which are profitable to them from an operations point of view. It is not helping patients at all. Only 5 percent of the medical stores have the right infrastructure to store medicines at the right temperature. For example, vaccines and oncology products require a temperature below 25-degree Celsius. If these medicines are not stored the right conditions, they produce impurities; their potency goes down which is the measure of the prescribed quality. It is sad that though we have earned the title of pharmacy of the developing world, but our in-house medical stores are maintained so poorly,” says Dr Sanjit Singh Lamba, Managing Director at Eisai Pharmaceuticals India. It will determine the future positioning of internet pharmacies. However, critics of the digital model highlight risks like the supply of fake drugs, unhealthy competition and security of health data. However, the real challenge for the e-pharmacies is to move millions of offline customers to their website and make them stick. Dadha notes that when the media highlights ‘concerns’ about online pharmacies, often, and ironically, they tend to raise the spectre of counterfeit or expired medicine, as if purchasing medicine online might somehow increase the chances of getting counterfeit medicine. “It’s an ironic reference because, in reality, getting medicine from an established, licensed online pharmacy negates the possibility of getting anything but 100% authentic medicines and branded OTC products. The large and reputed online pharmacies insist on current prescriptions which are linked to manufacturers’ batch numbers and expirations dates, and also deal either directly with manufacturers or with very established and trust-worthy master distributors. The supply chain is much more secured, organised and regulated, virtually ruling out the possibility of fakes or expired drugs entering the system. As a great side-benefit to this new approach, we are also able to amass a very accurate database, all of which is linked back to manufacturers’ batch numbers, providing invaluable data to all healthcare stakeholders,” he explains. So, what’s the next big thing for online pharmacies? Dadha points out that Netmeds is excited about developing and implementing AI to ensure on-time and flawless delivery. “Delivering medicines and OTC products within a committed time frame is a complex and challenging task. Netmeds deals with multiple Third Party Logistics (3PL) companies to deliver products of different types, sizes and forms (these can include solids, liquids, powders and cold storage) all over India. There are multiple modes of payment that need to be factored in as these orders could be prepaid (paid for online via credit/debit cards, net banking etc. ), or cash on delivery (CoD). Thirdly, our 3PL partners have multiple pickup times during the day, depending on the type of service offered. “Our systems maintain a history of this data to study trends and track the performance of our 3PL partners. It is crucial to the entire process because when a customer places an order with us, we provide an estimated delivery date. The dispatch module uses AI to select the best possible 3PL partner for every request, with no human intervention, for excellent delivery,” he concludes.